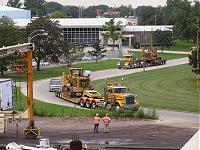 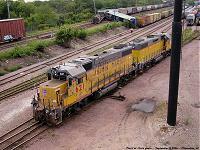 Running a railroad as large as Union Pacific doesn't come without its mishaps. 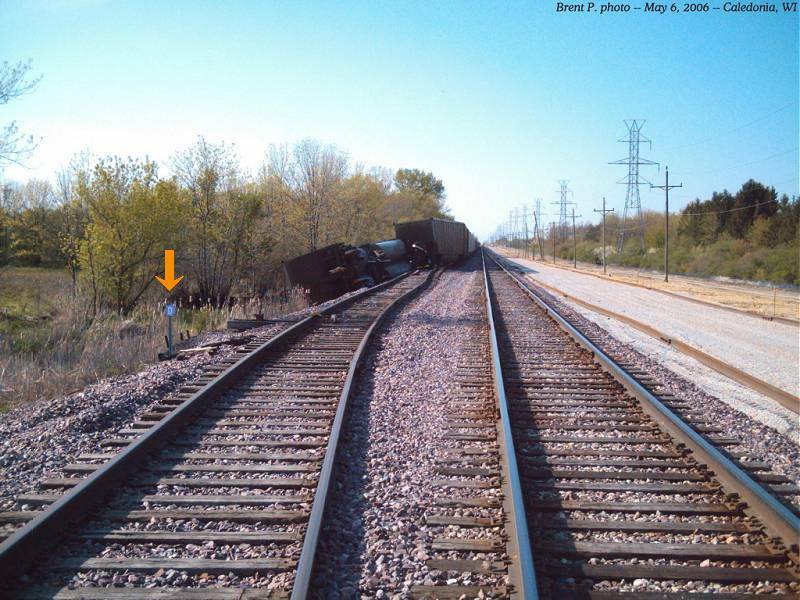 Derailments happen, whether through mis-communication, or through track or equipment defects, and sometimes with spectacular results! 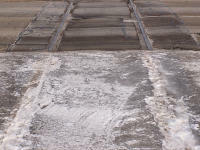 Union Pacific had just installed a derail at the south end of their coal siding just south of the Oak Creek power plant, near Five Mile Road in Caledonia, Wisconsin. 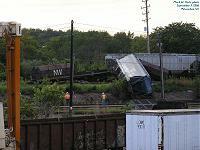 Apparently the crew of this train didn't realize it was there, because they backed the end of their train over it. 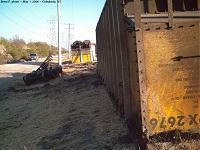 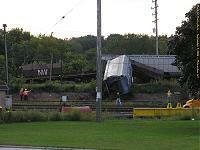 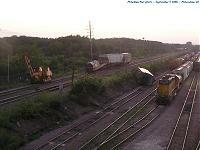 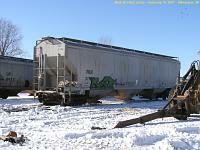 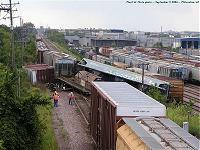 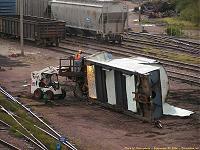 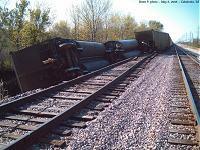 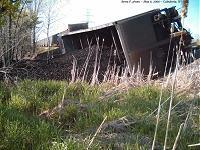 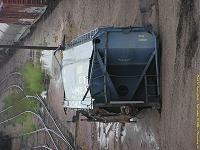 As a result, two WEPX coal cars ended up on their sides, with a third derailed but upright. 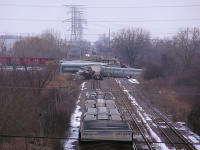 Thanks to Brent P. for sending these photos, and thanks to Patrick for sending the information on the cause of the derailment! 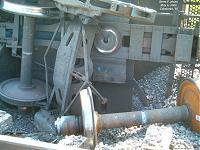 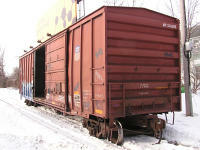 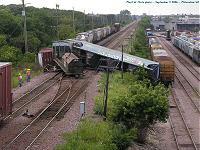 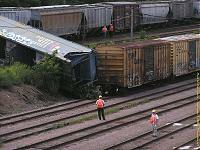 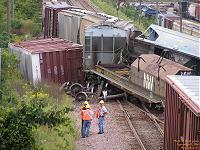 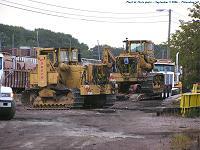 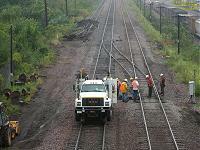 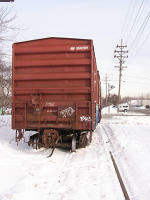 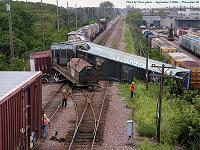 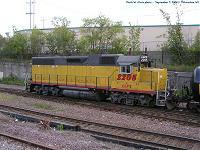 The winter of 2007-2008 proved to be rough on Milwaukee's railroads. 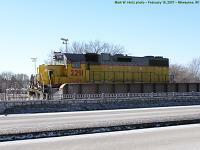 February 21 proved to be particularly tough on Union Pacific, as they had to call in Maggio to rerail two trains -- a boxcar on the Green Spur (shown below) and the Marsh Job's locomotives (photos coming soon)! 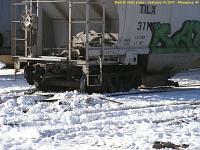 A healthy string of warm days had melted a fair amount of the near-record snow, and then a cold snap turned it to ice!